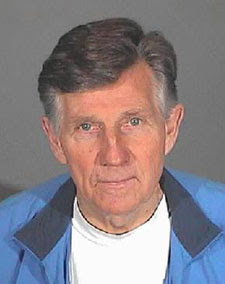 Former Miss America host Gary Collins was busted again for DUI. The 70 year-old actor/host was arrested just south of Montecito by the California Highway Patrol at 9:16 pm on Saturday. Law enforcement sources said that Collins resisted a field sobriety test, but was given a blood alcohol test. He was then brought to the Santa Barbara County Jail where he was booked and released. This is the third time Collins has gotten in trouble for drinking and driving. A year ago he pled no contest to DUI in a crash that killed the other driver, who was making an illegal left turn. And in 2002 he was found not guilty of DUI in Mississippi. Collins is now on 4 years probation. A jail sentence is more or less given if he was driving drunk again. Aside from his 8 year stint on Miss America, Collins was a former host of Hour Magazine and The Home Show, and also appeared in series such as The Sixth Sense and Born Free.